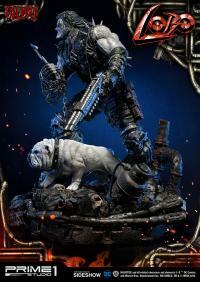 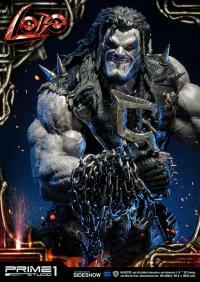 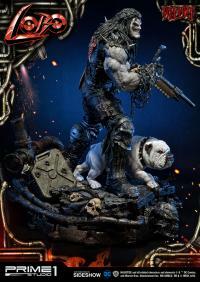 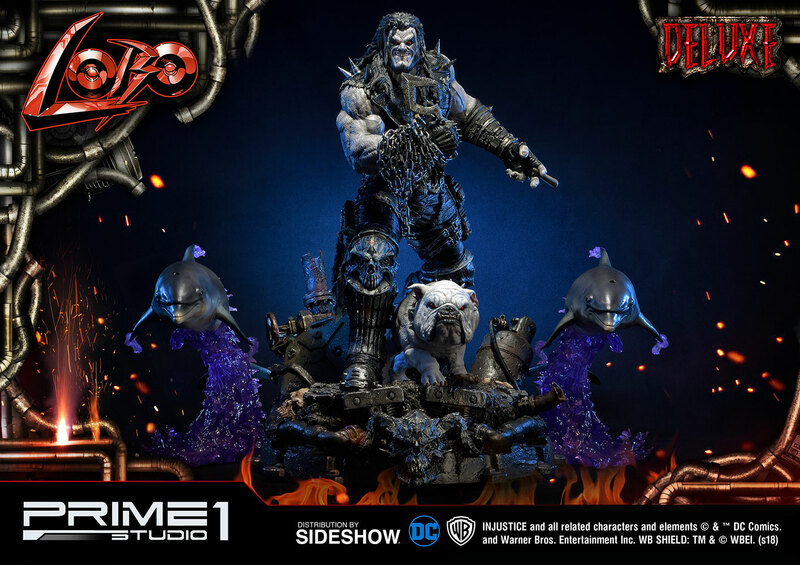 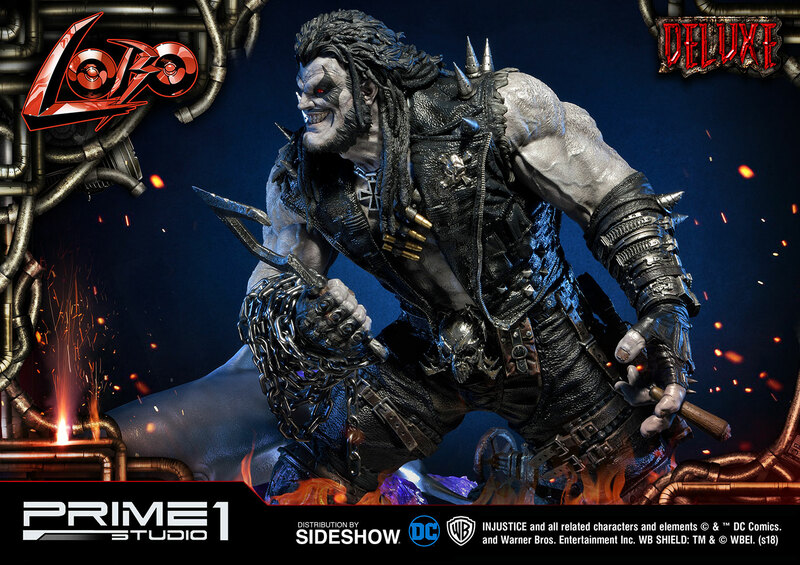 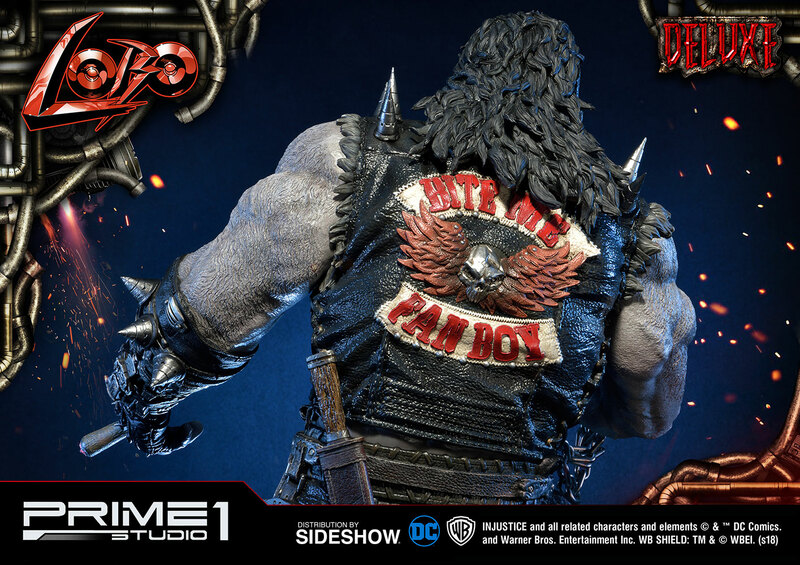 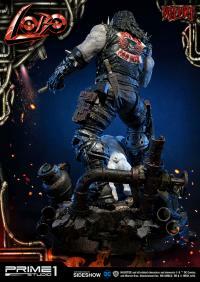 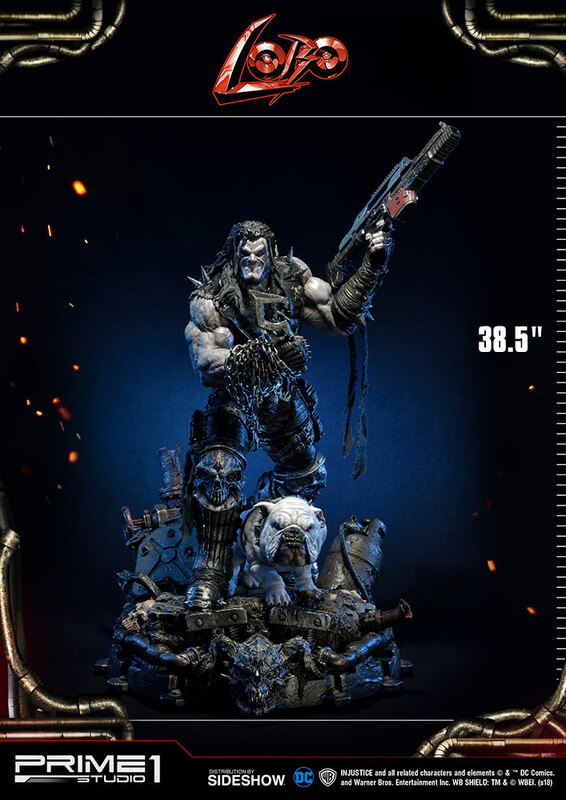 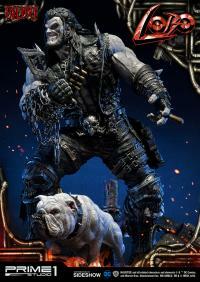 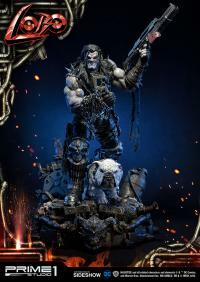 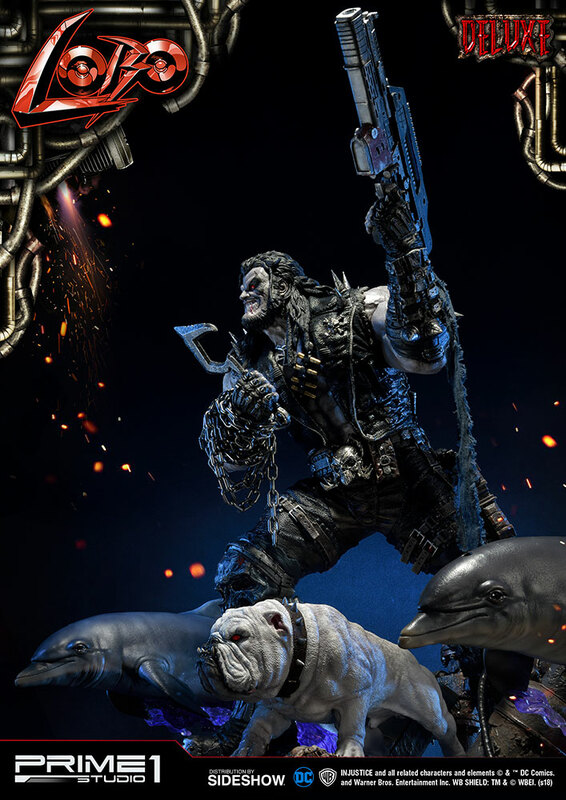 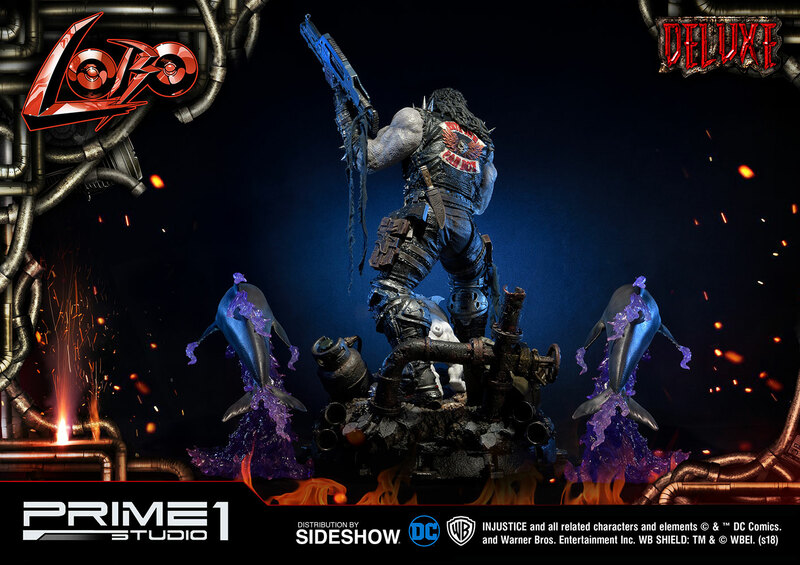 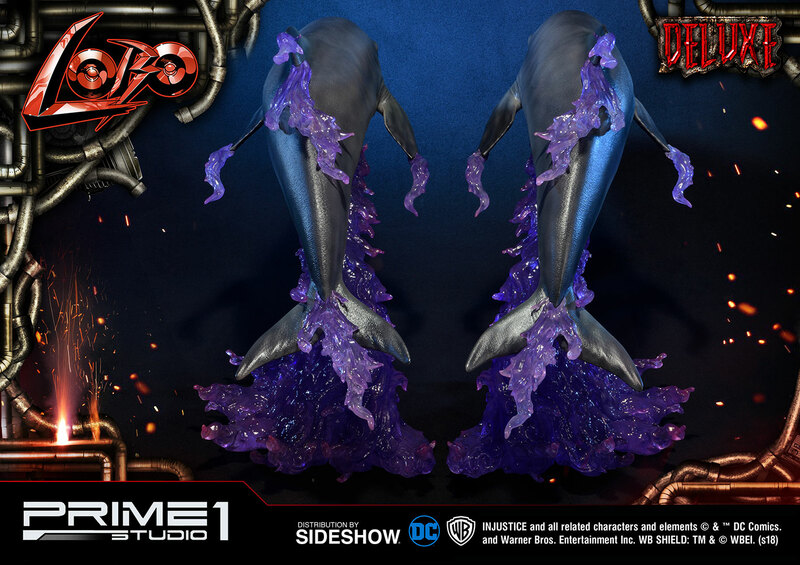 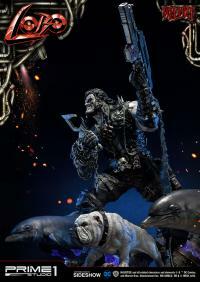 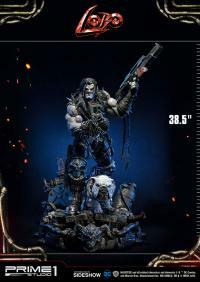 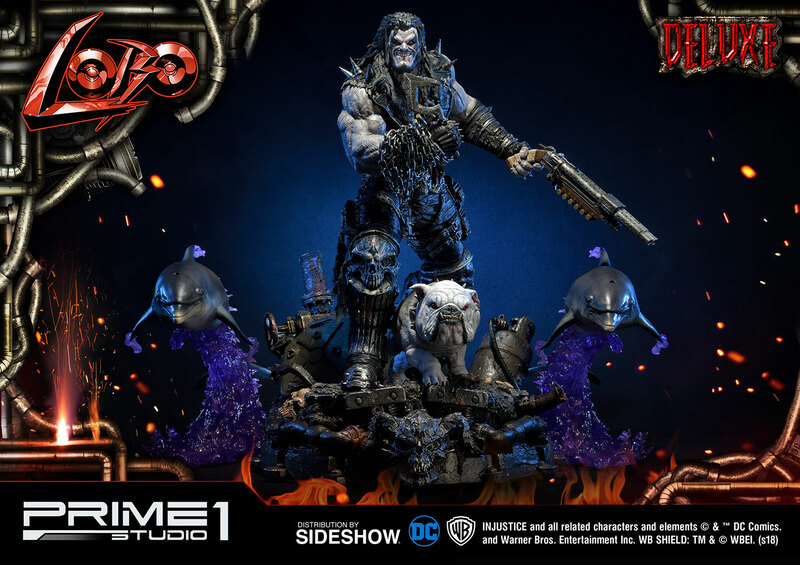 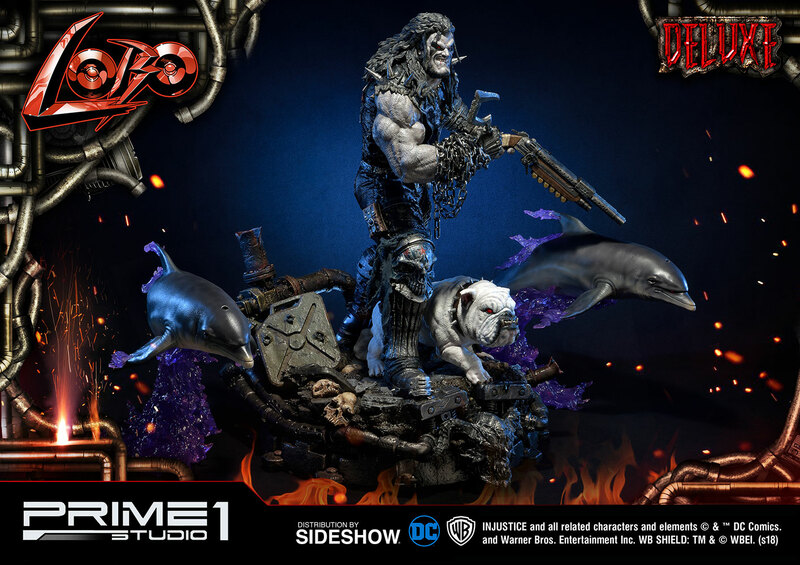 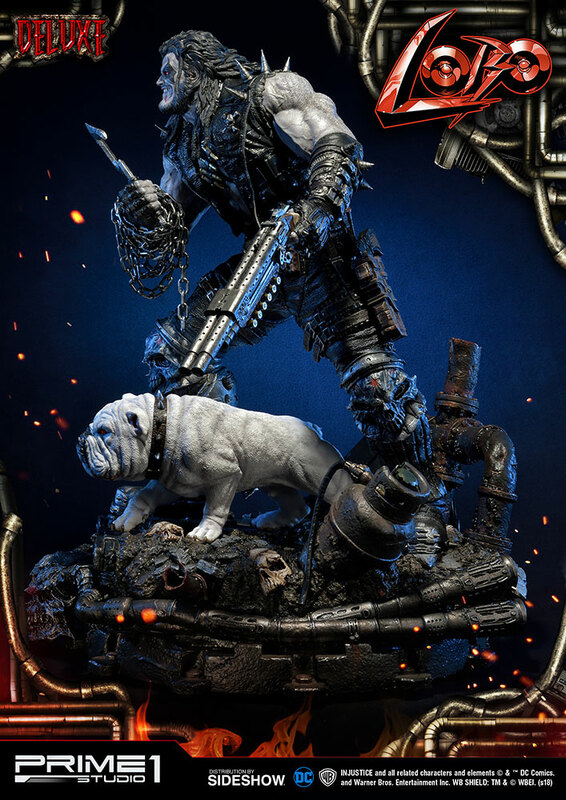 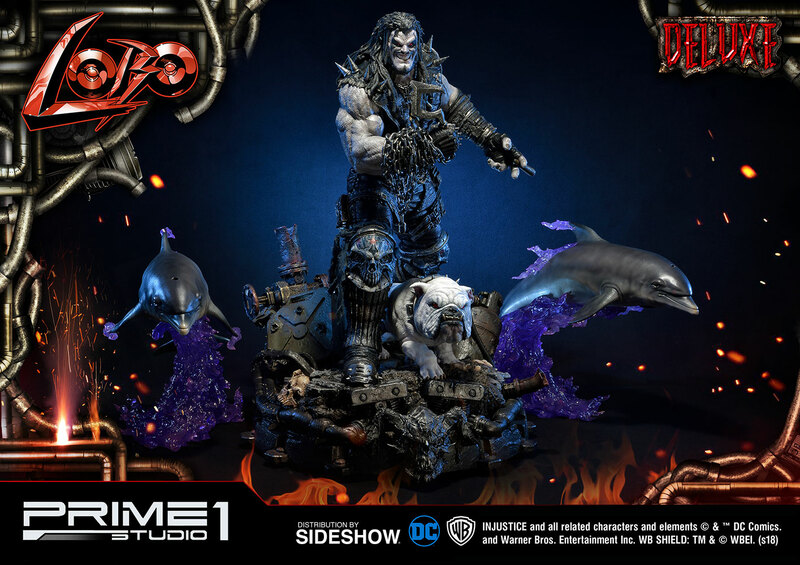 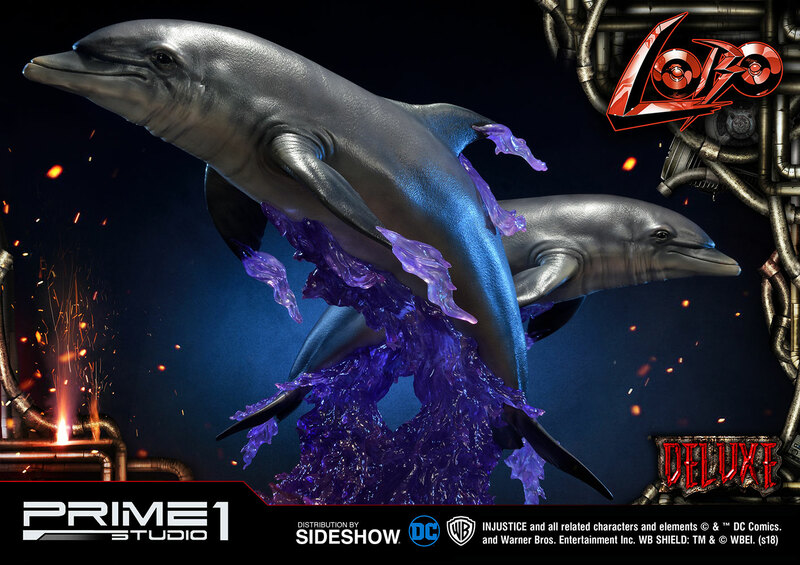 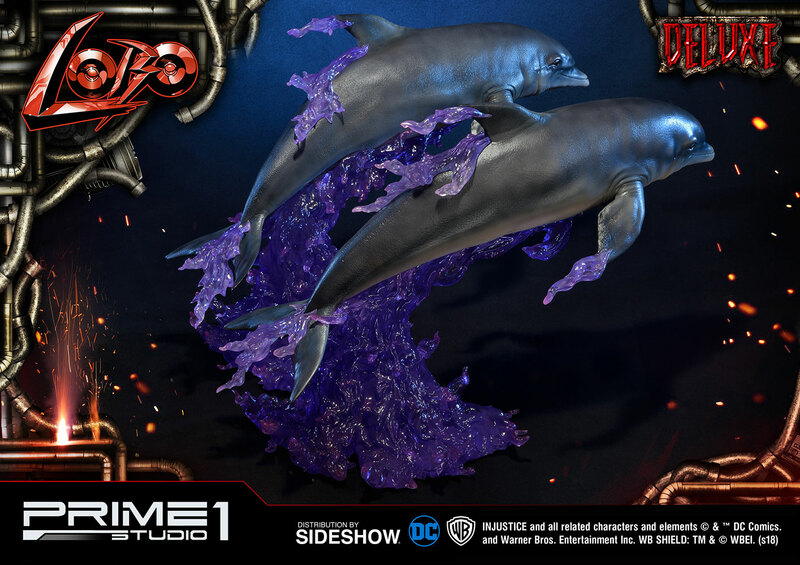 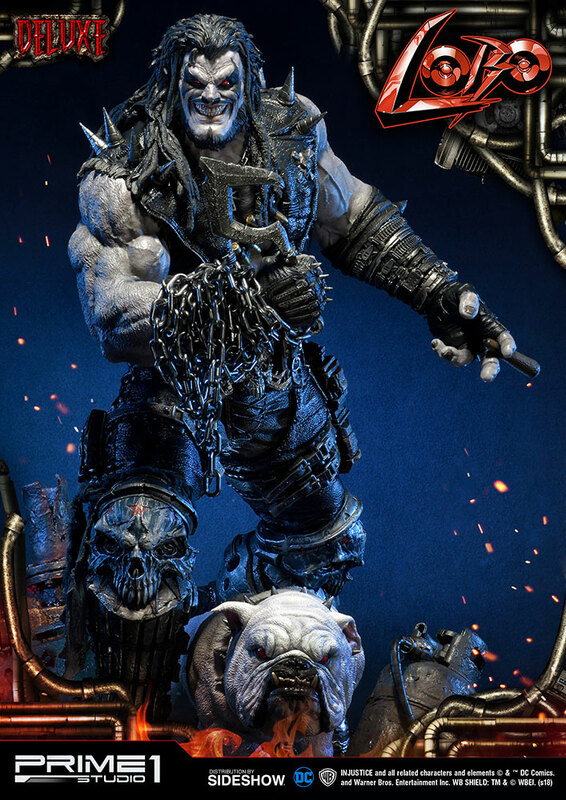 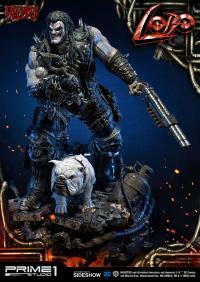 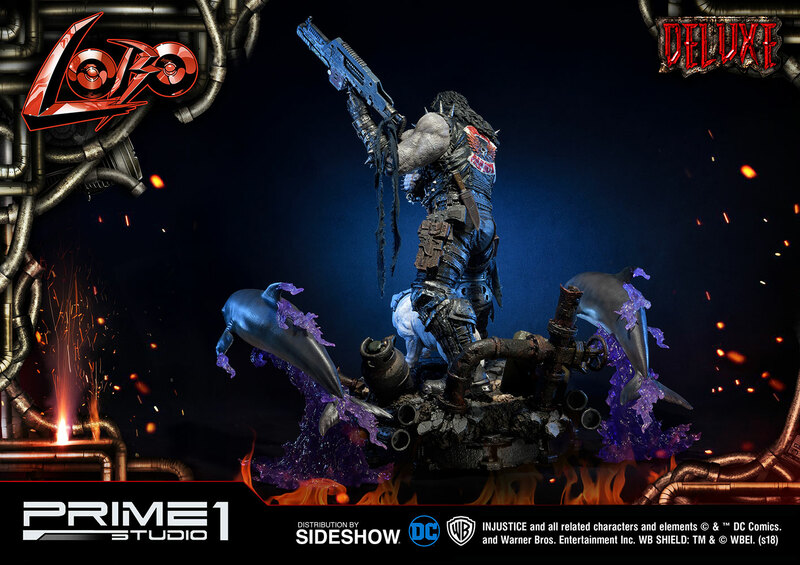 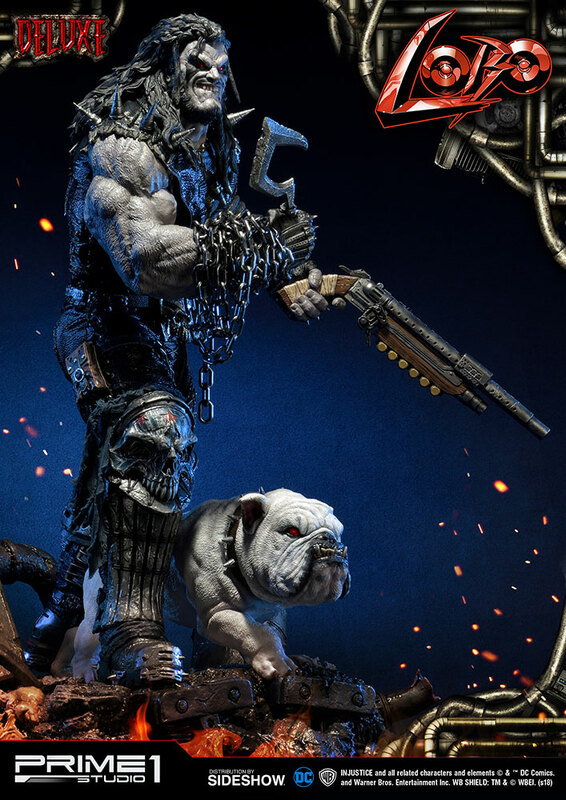 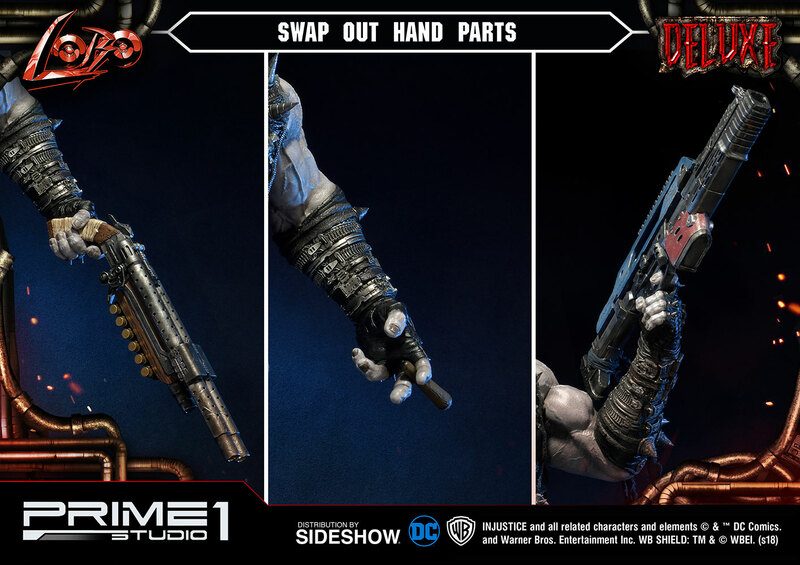 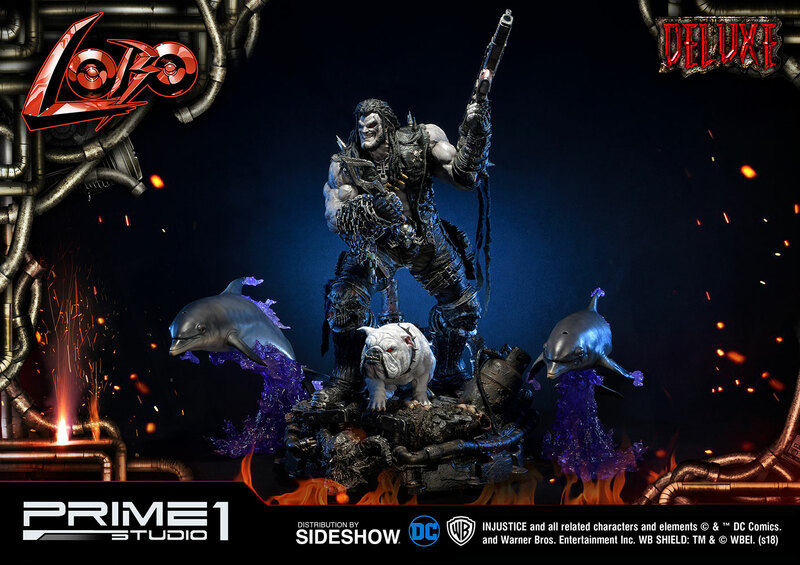 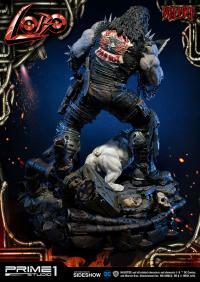 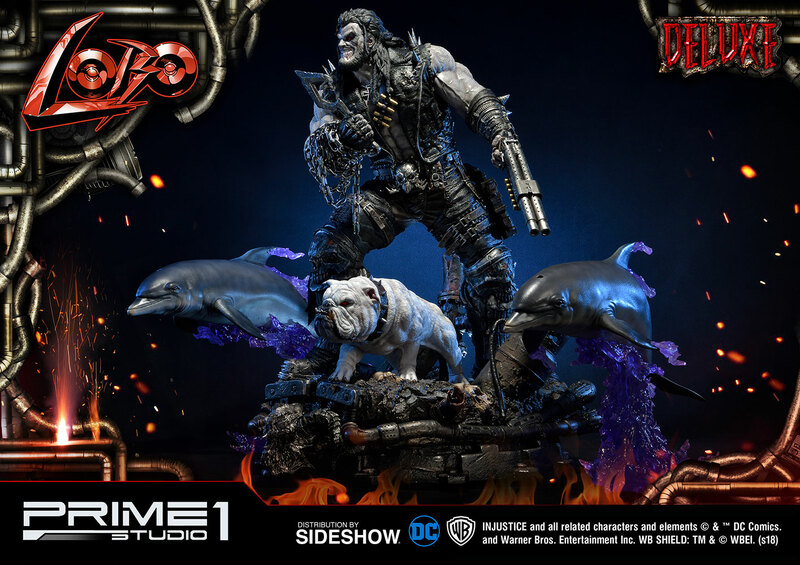 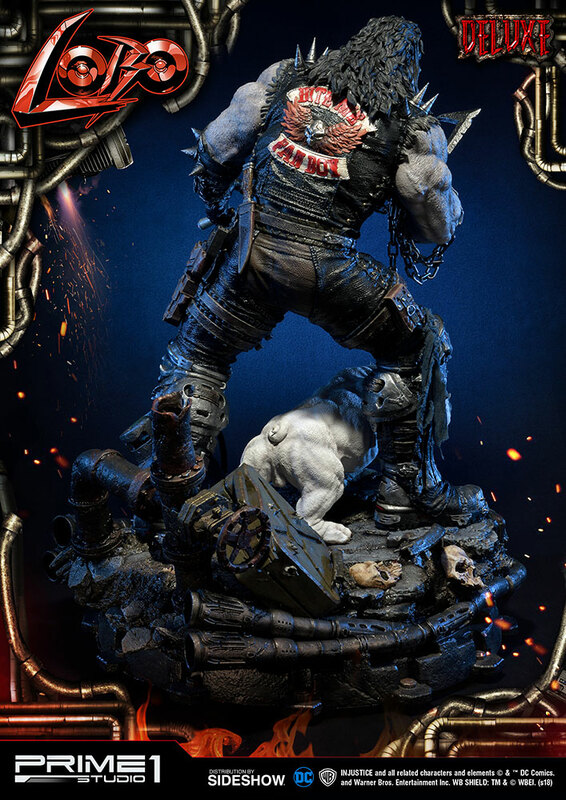 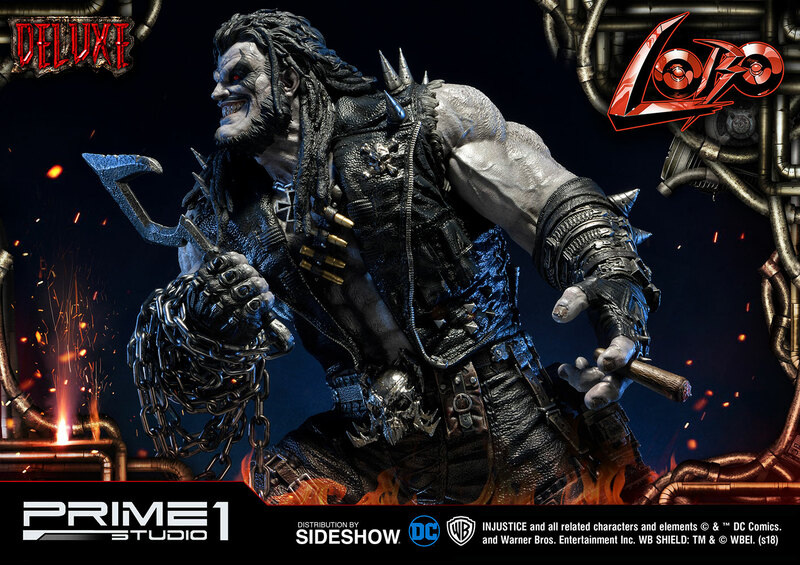 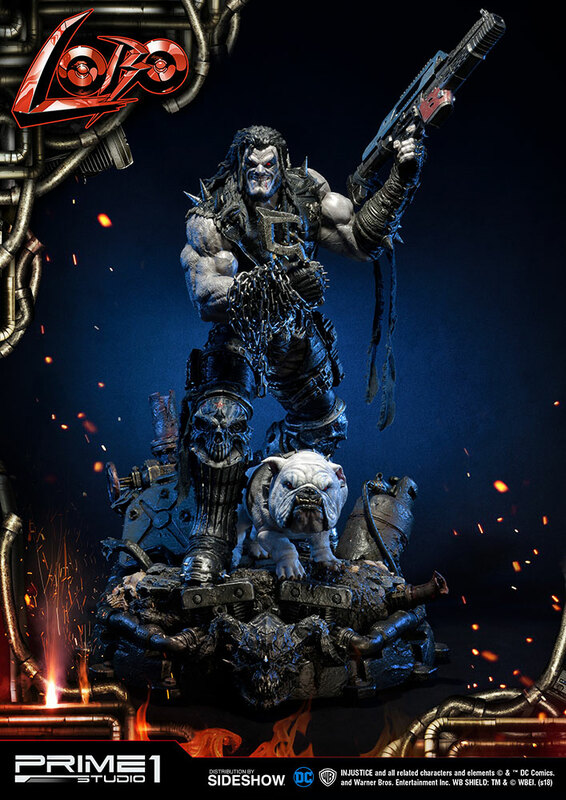 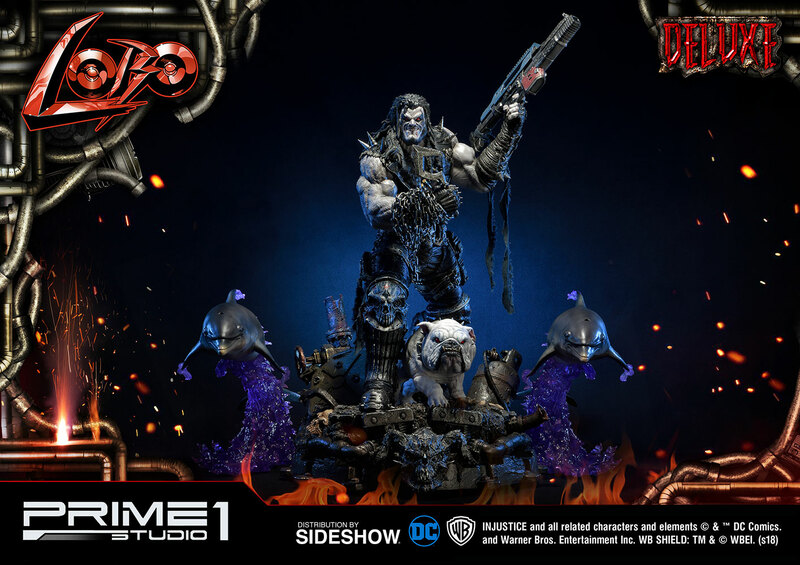 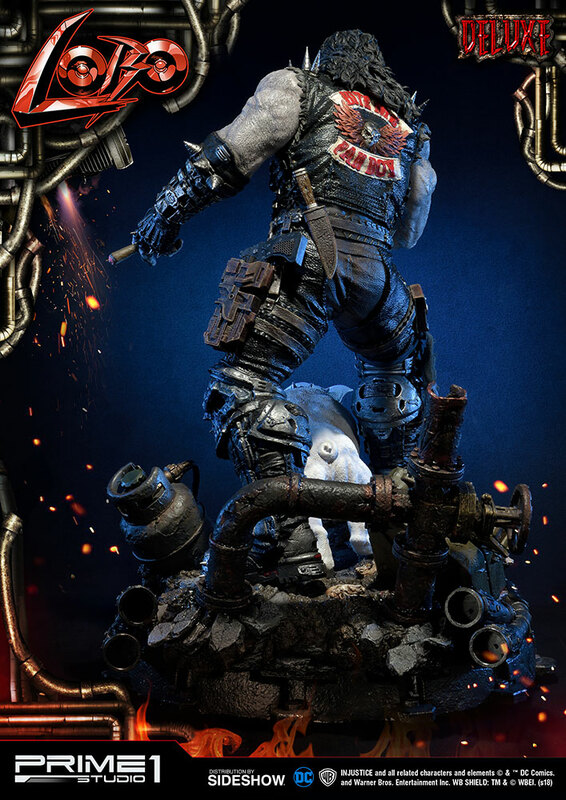 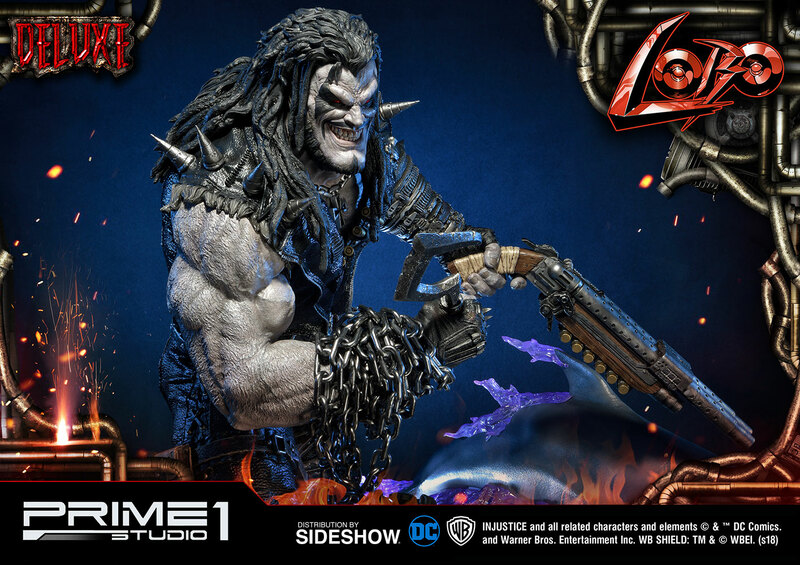 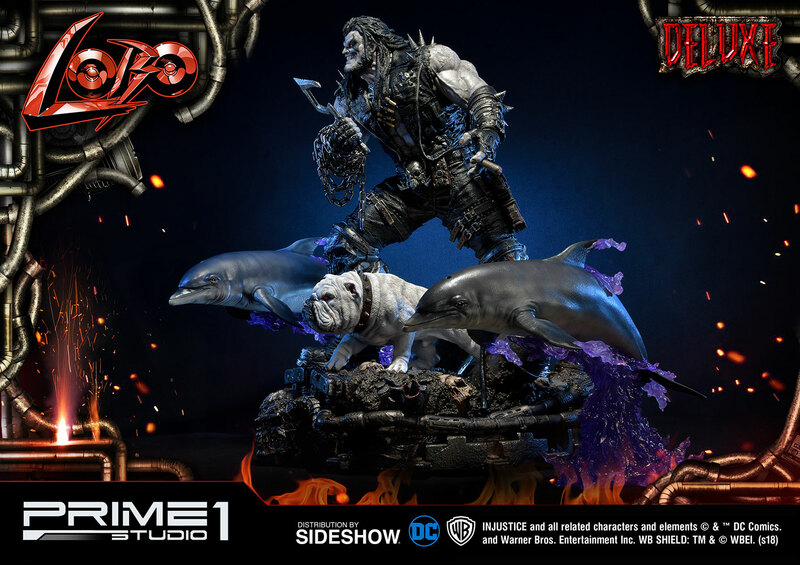 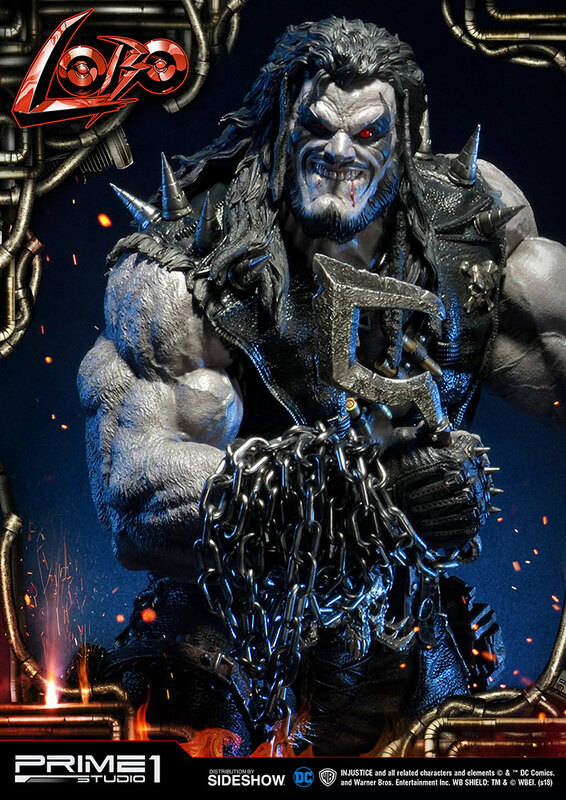 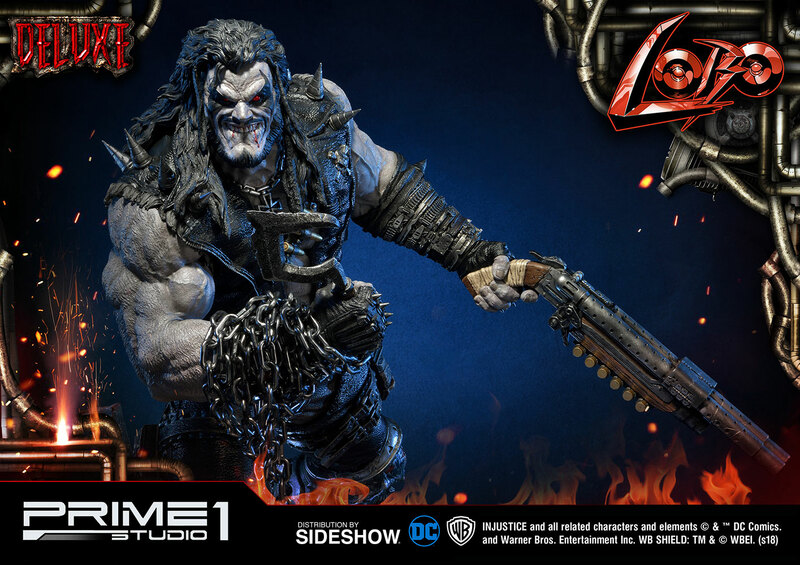 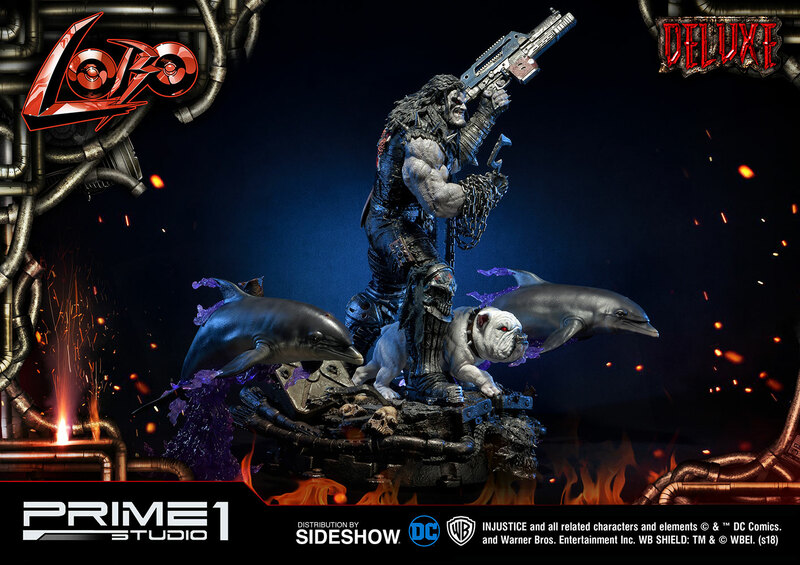 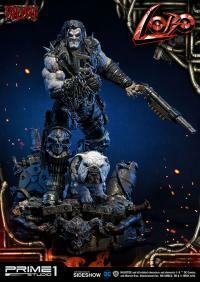 Sideshow and Prime 1 Studio are proud to present the Lobo Deluxe Statue from Injustice: Gods Among Us. 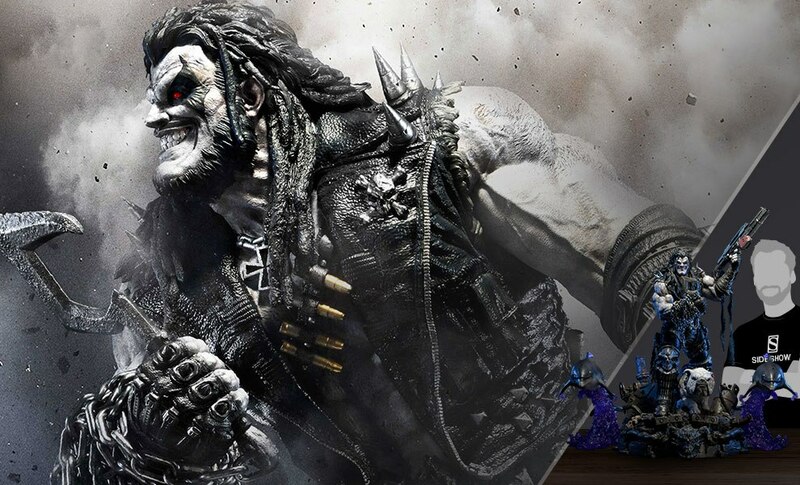 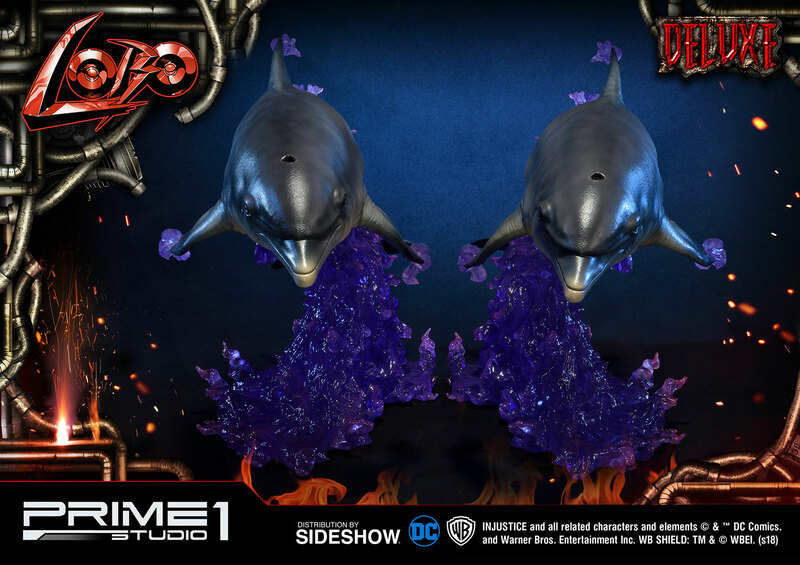 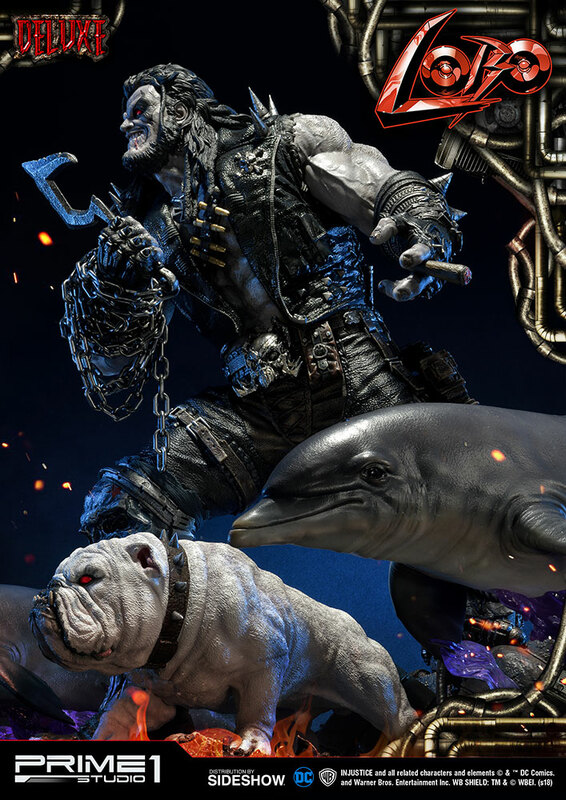 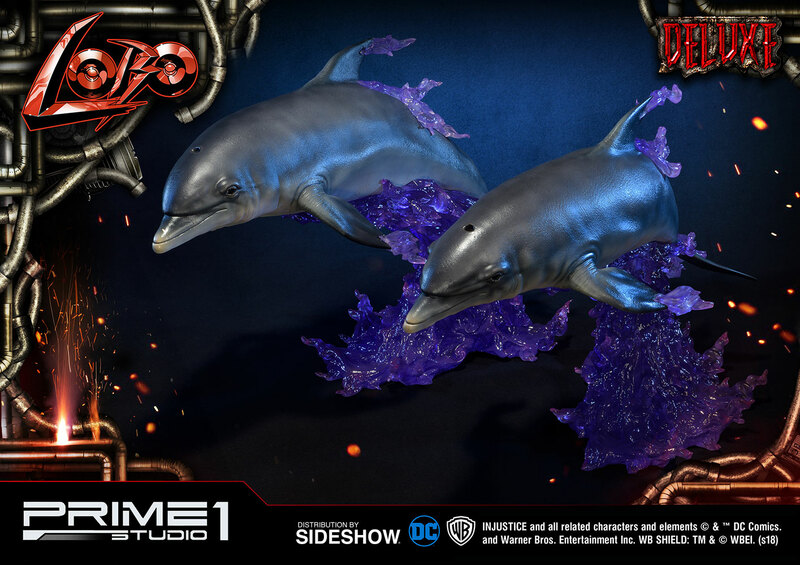 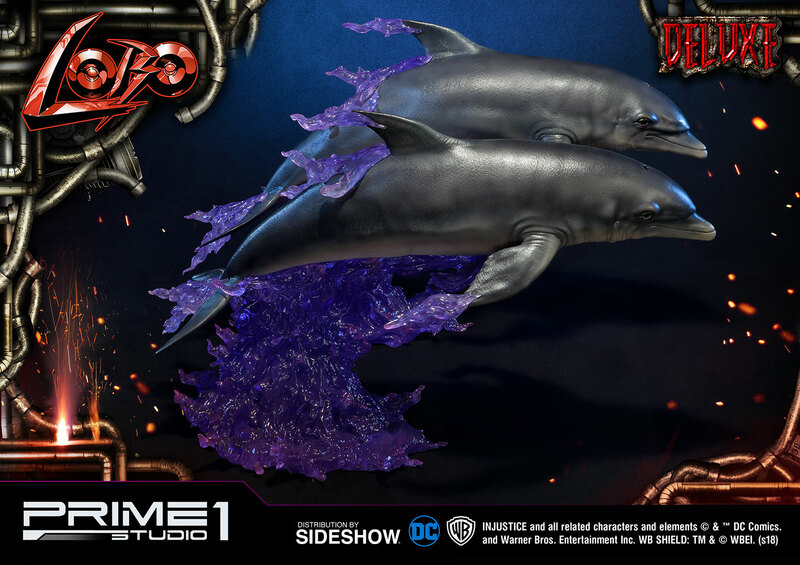 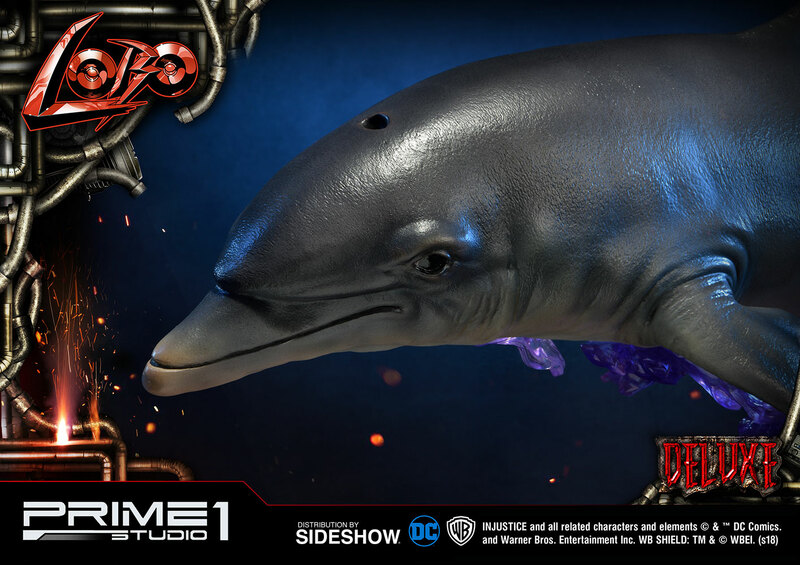 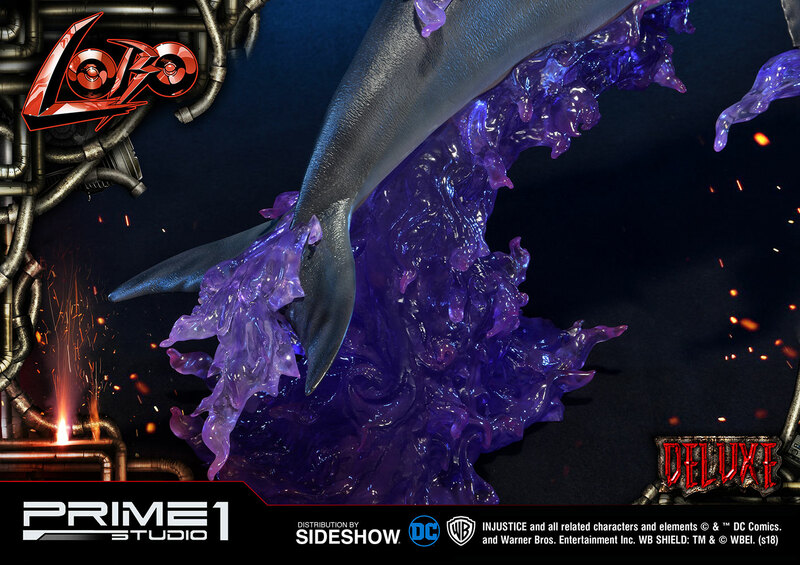 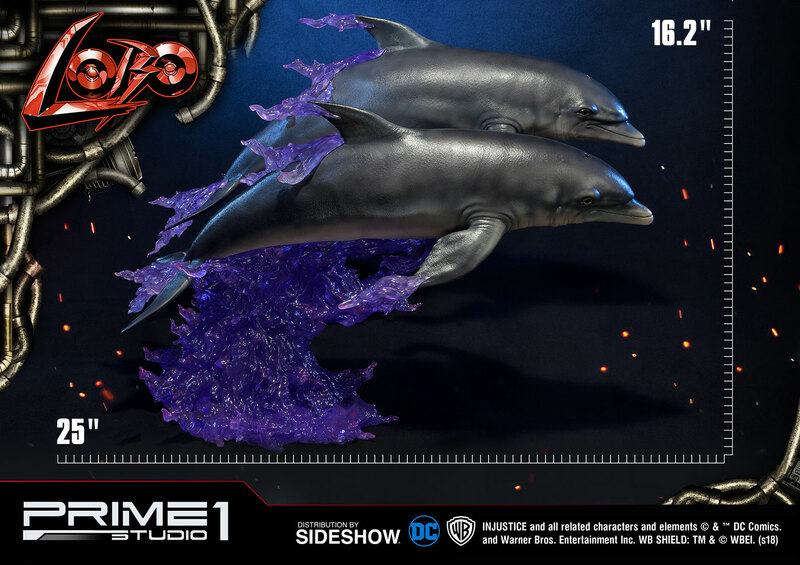 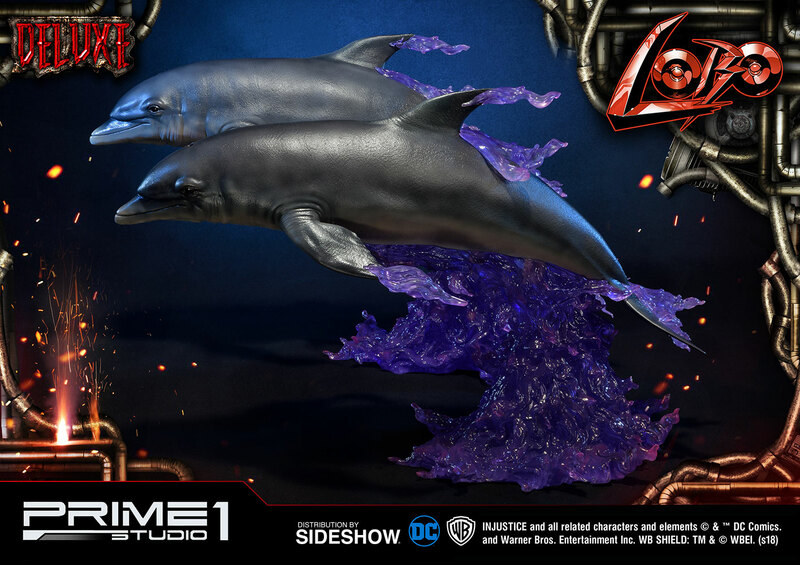 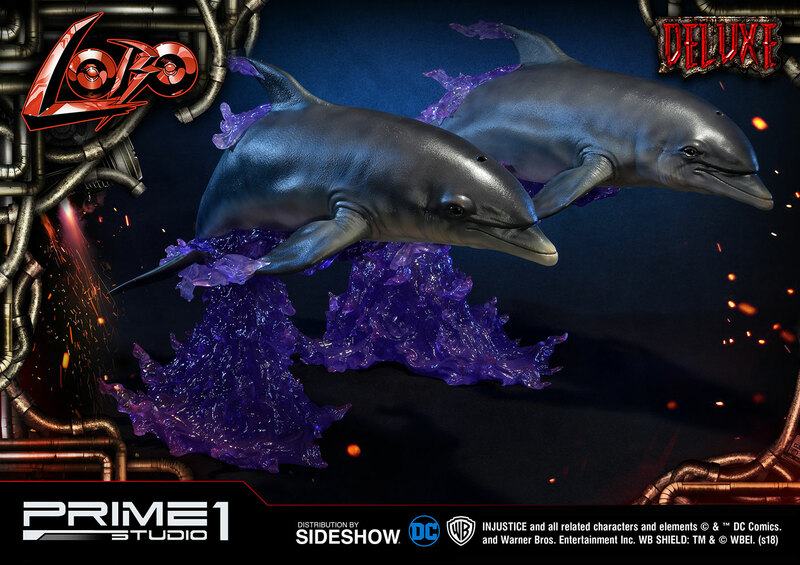 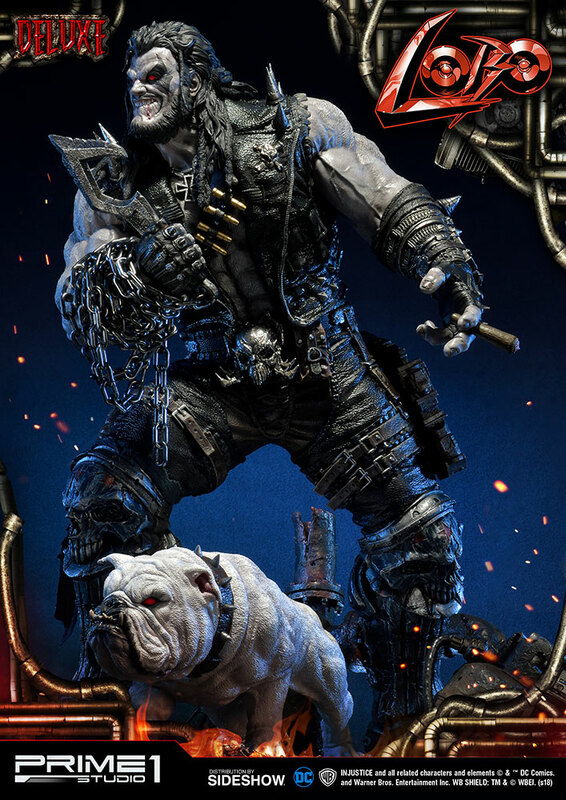 Injustice is an action fighting video game based on the DC Comics universe where Lobo is available as a DLC Character in this game. 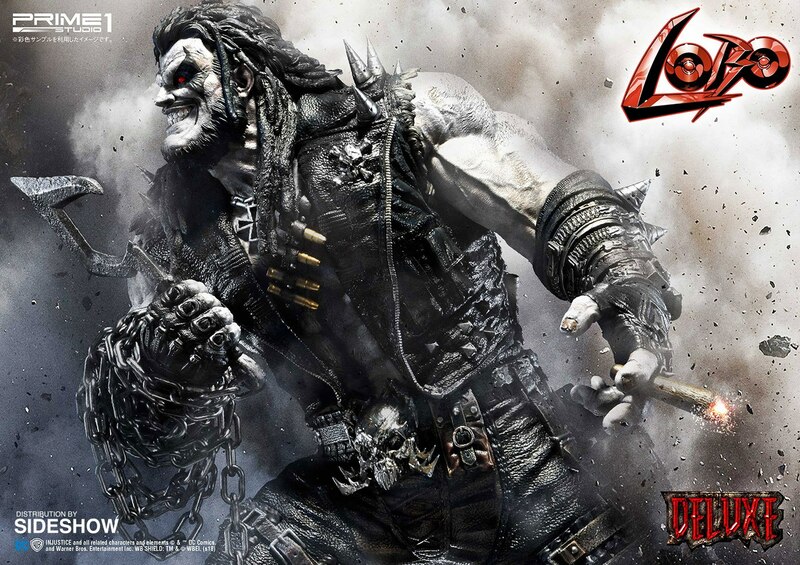 Lobo is the last of his known alien race, the Czarnians. 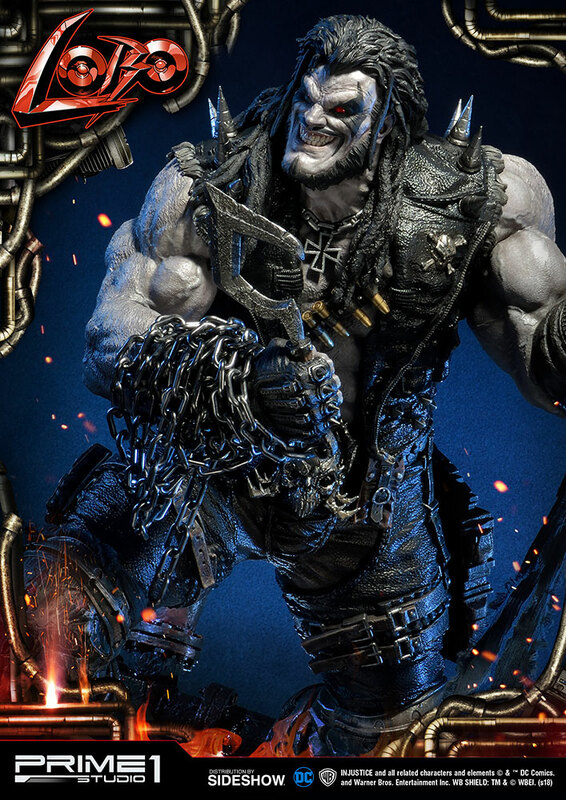 He is a violent and destructive man through and through, even his Czarnian name means “he who devours your entrails and thoroughly enjoys it.” He also committed mass genocide against his entire race using a swarm of flying scorpions. 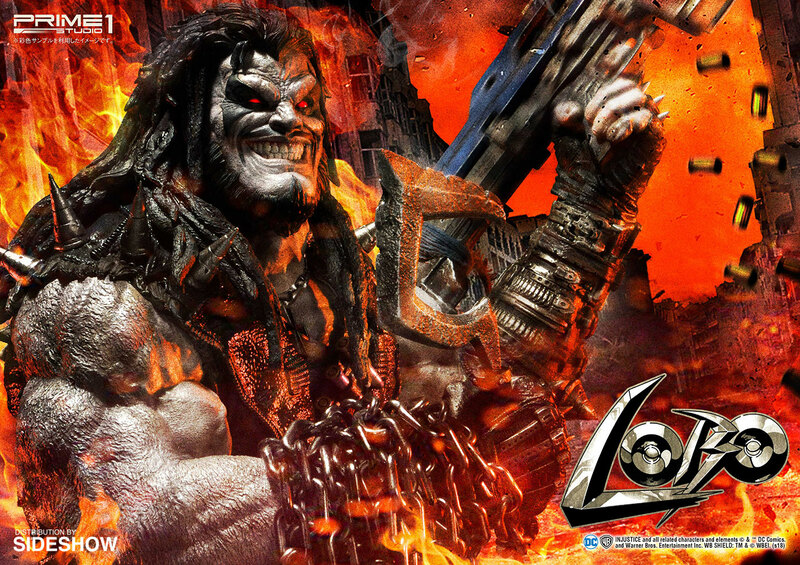 With nothing else to do, Lobo spends his days as a bounty hunter, killing anyone as long as the price is right. 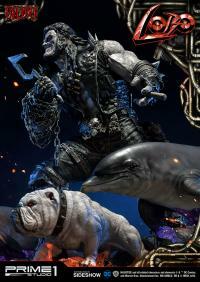 He’s also been one to team up with different people in the DC Universe such as Green Lantern and Superman. 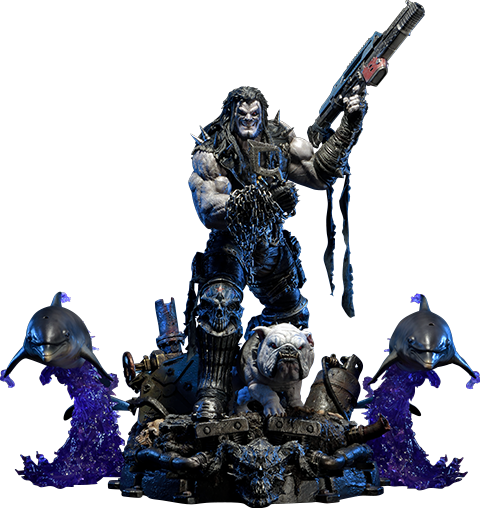 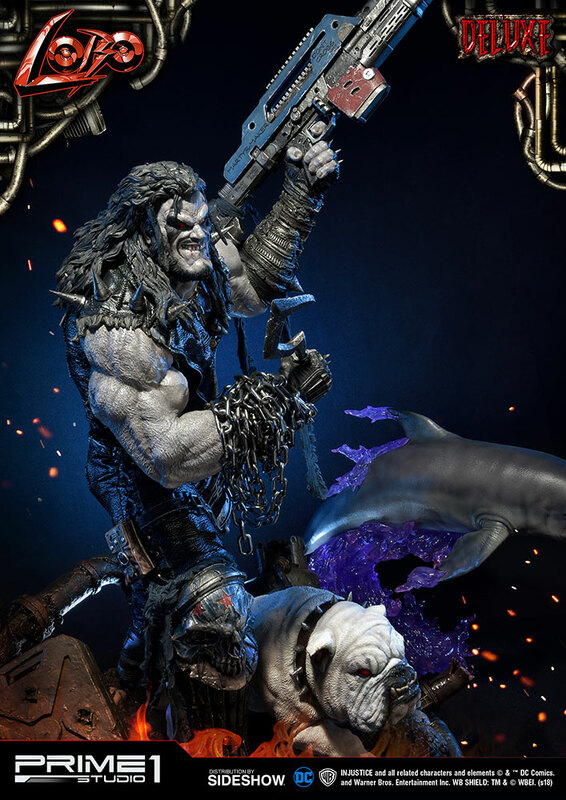 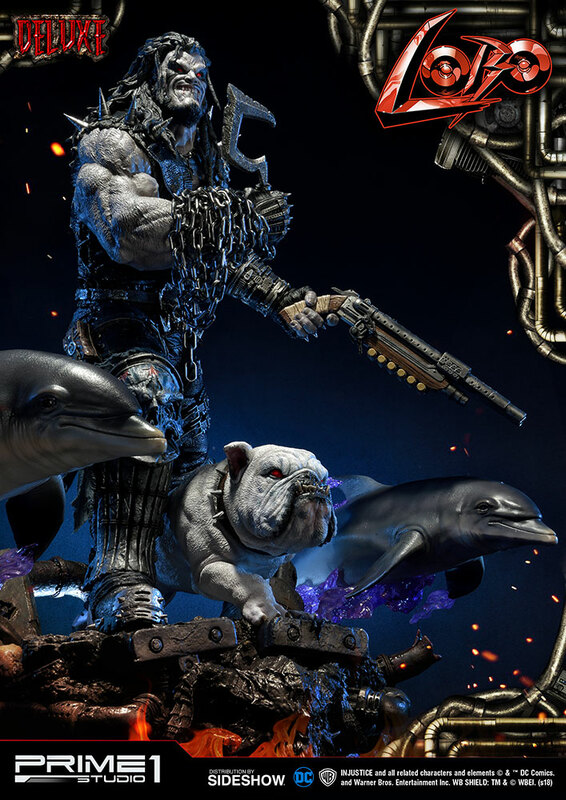 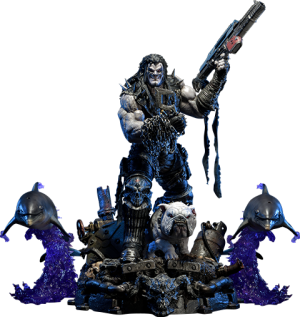 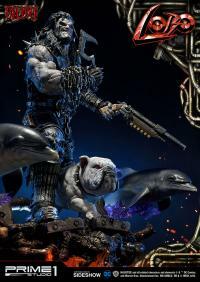 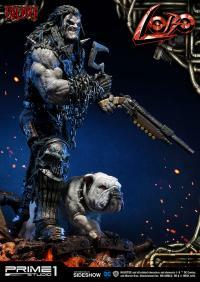 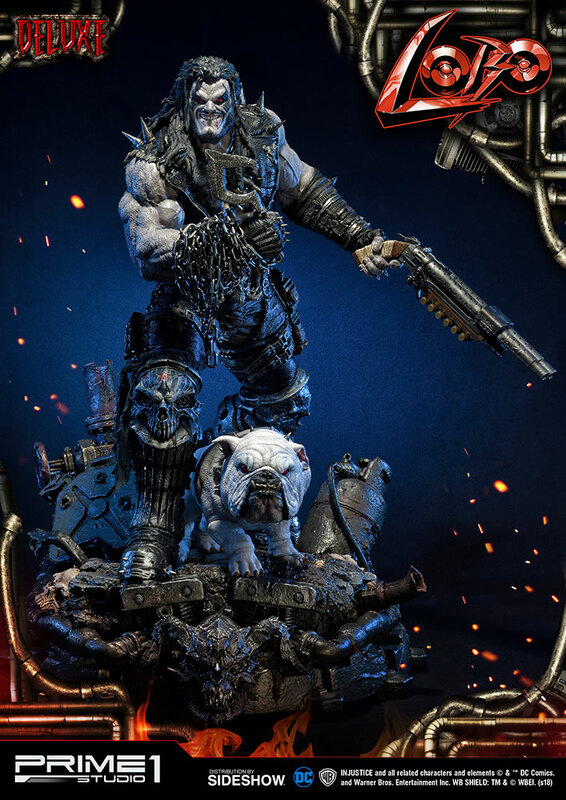 Lobo stands with Dawg, his follower alien dog, approximately 39 inches tall and 39 inches wide with Space Dolphins. 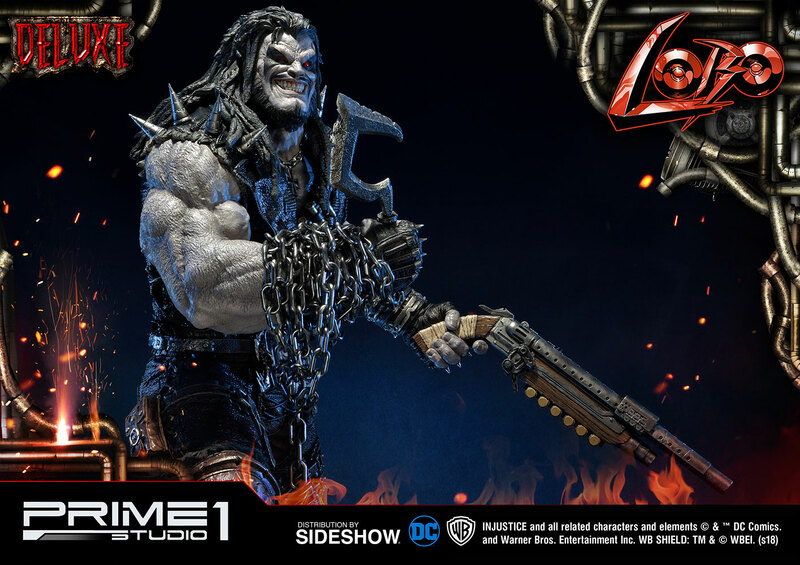 Pay as little as $213.63/mo.